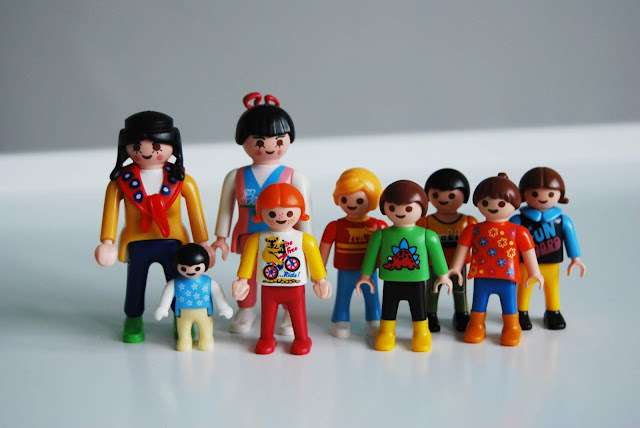 I was a huge fan of Playmobil back when I was a little girl, so it delights me that it's still around all these years later because my children get to enjoy it too. When Smyths Toys got in touch, asking if we'd like to review one of their exclusive Playmobil sets I didn't hesitate in taking them up on the offer. I decided to go for the Playmobil City Life Children's Playground, but everything in the range looked fantastic. It arrived a few days later, packaged nicely in the Playmobil packaging we are all familiar with. I like how the branding hasn't changed much over the years, it makes me feel nostalgic. 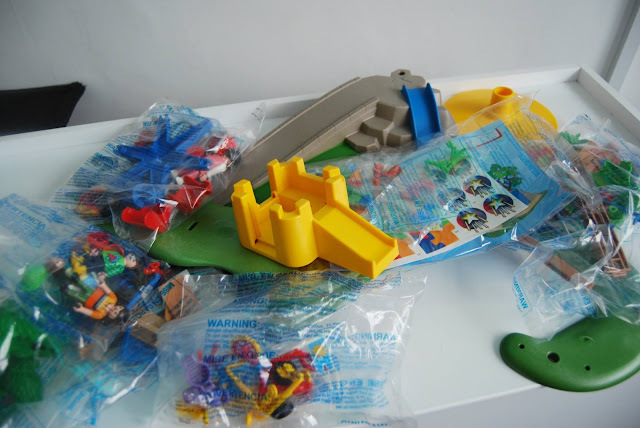 Inside the box were multiple plastic bags, all filled to the brim with various bits and pieces. I'm not going to lie, it took around half an hour to set the playset up because it's quite fiddly and there are lots of pieces. However, the instructions are easy to follow, and once I'd managed to get it all together I was very impressed! It's worth the time it took because the attention to detail is next to none, from the little squirrels and birds, through to the tiny little flowers and little water bottles. Everything is so lovely. 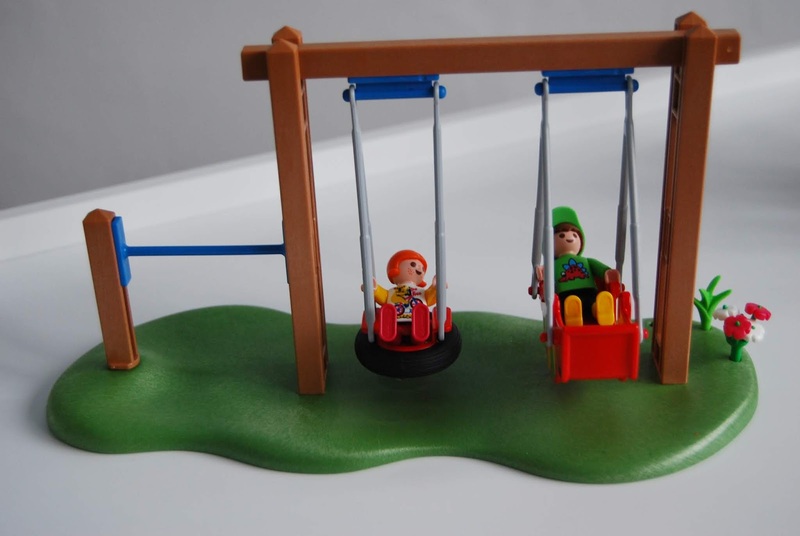 The Playmobil Children's Playground Set includes various play areas which can all be used together or separately. There's a park with a skateboard ramp, slide, and picnic area, a small sandpit park with a slide and a seesaw, a double swing set and a carousel swing. 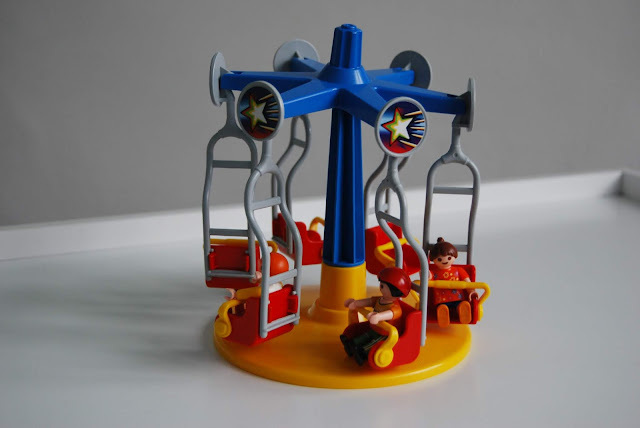 All the swings can move back and forth and the carousel spins around. 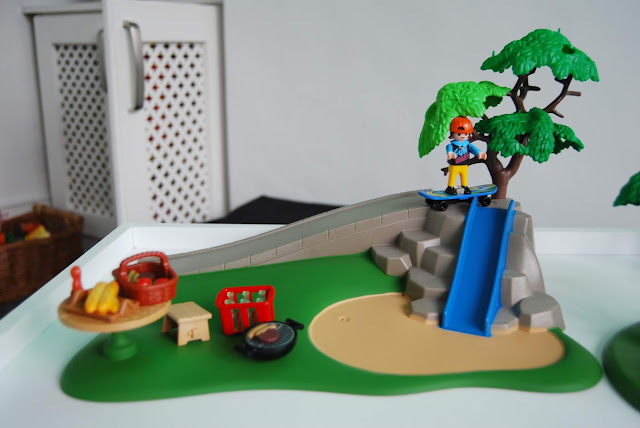 Not only does the set come with varies play areas, but it comes with 9 character figures and countless accessories which really add to the gameplay. 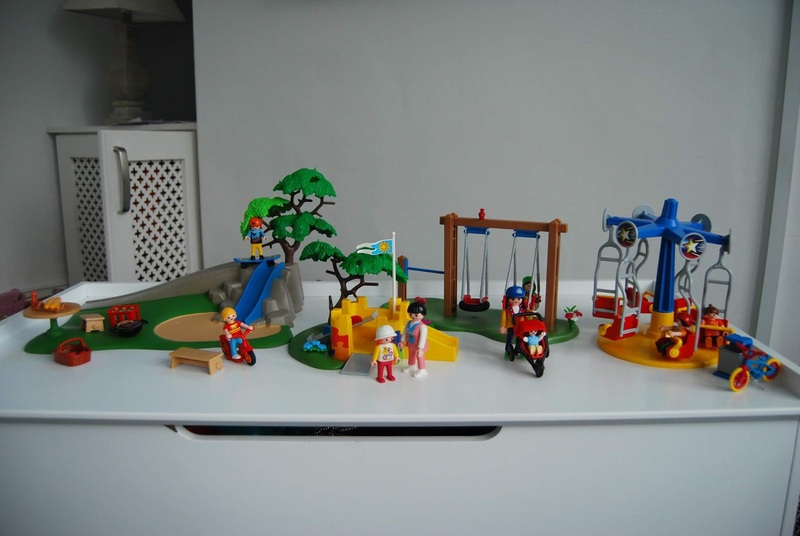 The smaller accessories include; 1 x Bike, 1 x Pram, 1x Scooter, 1x Skateboard, 1 x Sieve, 1 x Bucket, 1 x Watering Can, 1 x Rake, 1 x Spade, 1 x Bench, 1 x Stool, 1 x Skate ramp ground, 1 x Crate, 6 x Bottles, 1 x Tongs, 1 x Barbecue, 1 x Barbecue cover, 1 x Barbecue griddle, 2 x Apples, 1 x Basket and 6 x Sausages. Basically, it contains everything you need on a children's playground and for a day out! Playmobil is known for its quality, and attention to detail and this set is no exception. 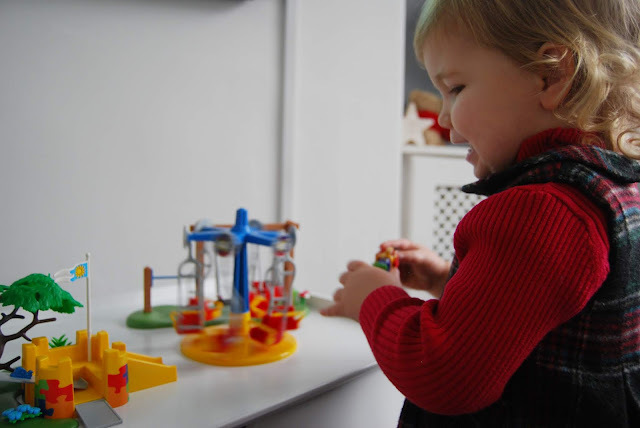 I know that these toys will stand the test of time, and think they'll enjoy these toys for years to come. 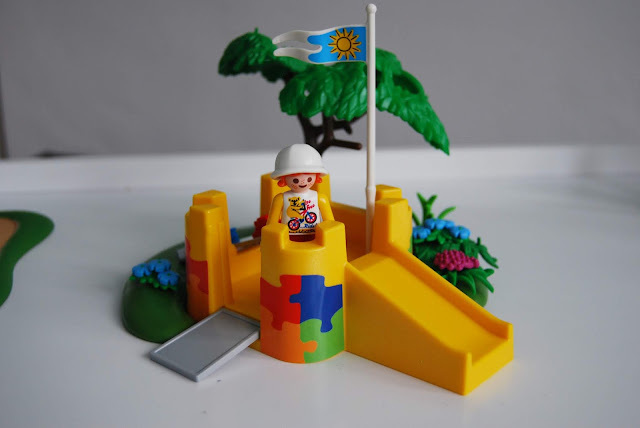 I'd recommend this set for children who are new to Playmobil and for those who already collect it too. It's a great all-rounder. 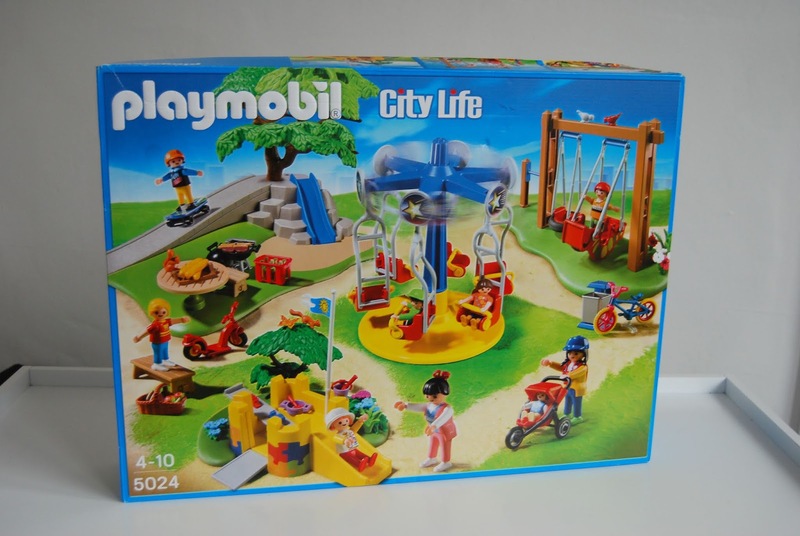 The Playmobil City Life Children's Playground Set is recommended for children from 3 years of age, retails at £39.99 and is available exclusively to Smyths Toys.